Premium quality one-part high modulus polyurethane sealant and adhesive that provides exceptional resistance to mechanical wear. Used in the engineering, caravan and marine industries and for sealing floor joints in ceramic installations that are subject to high traffic. Excellent chemical resistance. 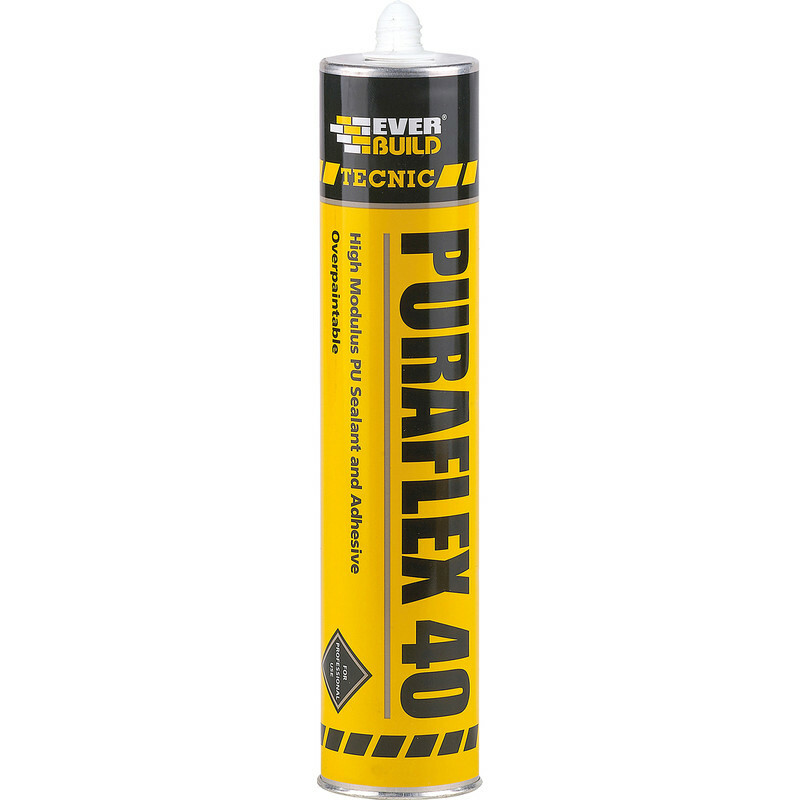 Puraflex 40 High Modulus PU Sealant & Adhesive 300ml White is rated 4.6 out of 5 by 37. Rated 5 out of 5 by 58er from Good value Good quality product, far cheaper than leading brand but made by them! Rated 1 out of 5 by M Cox from Reaction with paint turned it yellow! Used as a skirting caulk (recommended by someone because it wouldn't crack) it reacted with the water based gloss I was using (Helmi 80) and it turned yellow. Rated 5 out of 5 by notinterestedinnicknames from Excellent, service, delivery and product. Used this to seam seal some welding repairs on a 'classic' (read old) car. Neat job and nice finish. Rated 5 out of 5 by Mark1234 from Great A great PU40 sealant, far more sensibly priced than Tiger Seal or any of the automotive brands.